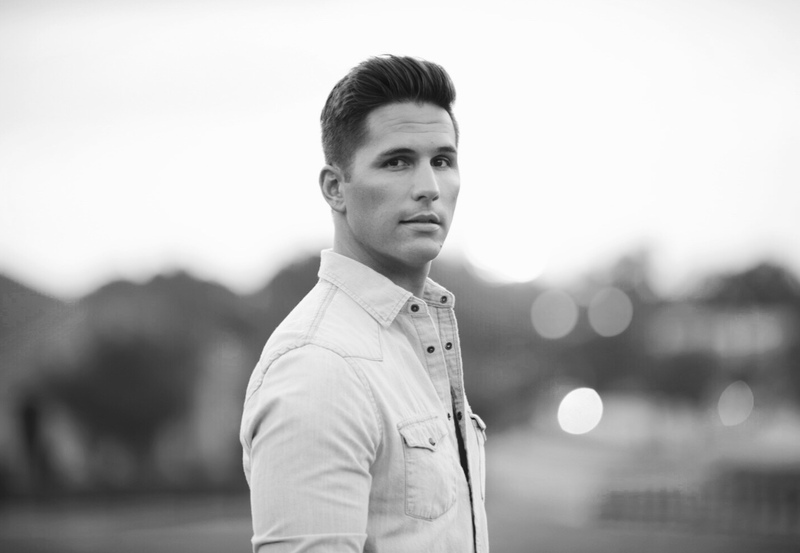 Fluid Music Revolution country music singer and songwriter Justin Adams is a Bixby, Oklahoma native. He played football at the University of Northern Iowa and currently holds the school record with 54 consecutive games played, never missing a game. Upon graduation he moved back home to Oklahoma and it became clear that his drive to be a singer/songwriter would not be fulfilled there, and it was time to move to Nashville. So in the fall of 2010, knowing only one other person in the city, Justin packed his bags and headed for Music City. Justin received his first major “cut” as a songwriter for BBR Wheelhouse Records artist Granger Smith with a song he penned with co-writers Mark Nesler and Frank Rogers. “You’re In It” from Granger’s “When The Good Guys Win” album is Smith’s current single to country radio making it Adams’ first ever single as a songwriter as well. Justin recently signed a new publishing deal with Fluid Music Revolution. Justin released his brand new record titled “Horizon” on May 11th, 2018 at the legendary Sound Emporium Studios in Nashville, TN. The project was produced by ACM Guitar Player of the year Derek Wells. The single “How It Rolls” was released April 27th 2018! In 2013 Adams independently released his self-titled EP. Justin’s debut EP reached #4 on the iTunes Country Music Album charts, #36 on the Billboard Heatseekers Chart and #59 on the Billboard Country Albums. Justin’s high energy live shows and captivating songs have kept him with a busy touring schedule having the opportunity to share the stage with nationally touring acts such as Josh Turner, Gary Allan, Trace Adkins, Joe Nichols, Jon Pardi, Dustin Lynch, Dan and Shay, Eli Young Band, Phil Vassar, Tracy Lawrence, Lonestar, Clay Walker, Craig Morgan, Chase Rice, Easton Corbin and Eric Paslay.